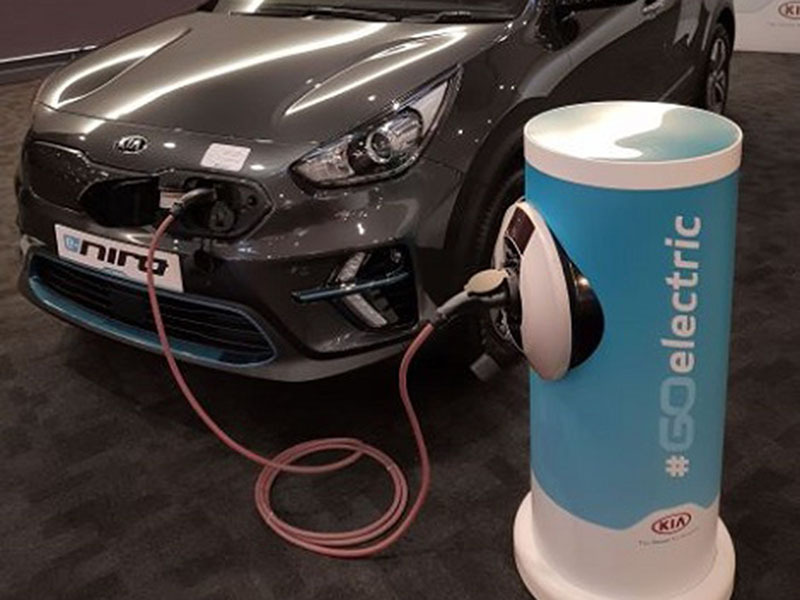 Kia Motors UK has chosen Pod Point as official homecharge provider to complement its growing range of electric powered plug-in vehicles. The two-year partnership deal will see UK customers of Kia’s new e-Niro, Niro Plug-in Hybrid, Optima Sportswagon Plug-in Hybrid and Soul EV be offered a Pod Point smart charger. All of Pod Point’s current range of homechargers are smart as standard, which will be the only type eligible for the Office of Low Emission Vehicle’s (OLEV) homecharge grant from July 2019. Smart chargers offer over-the-air updates (OTA) and remote diagnosis to fix simple problems. Kia is now set to launch its #GoElectric initiative as part of a wider campaign to become one of the industry’s leading EV manufacturers.